Cork’s 96FM are hosting Irelands 3rd Radiothon (and the third ever outside of North America). 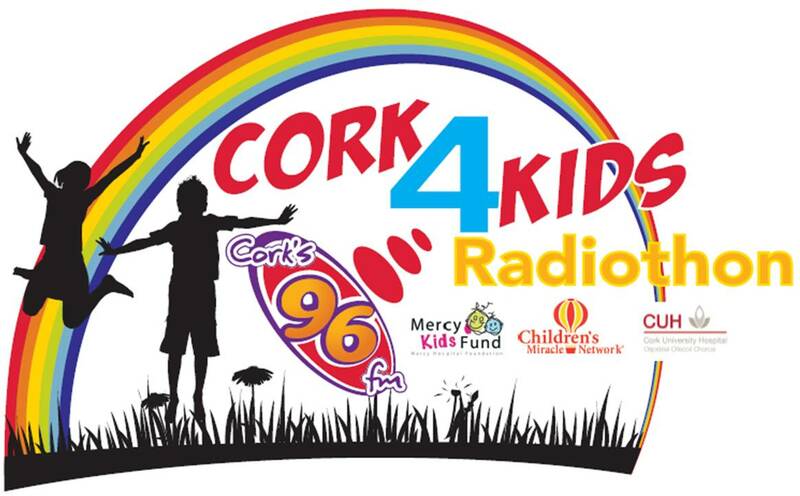 The station will broadcast tomorrow (Thursday 26th) from 6am until Saturday 6pm from the Children’s Wards in Cork (Mercy & CUH). I am involved with these events and they are amazing fundraising events and amazing Radio. Listen here the stories you hear will amaze and inspire you. Question: What is the most important issue you face? Fundraising Success is looking to compile ideas, insights and comments from fundraisers on What is the most important issue facing fundraisers at the moment. I would encourage you to submit a comment as the results will make interesting reading for us all. For those of us who are inspired by Paul Newman and who have been lucky enough to work in an organisation he has helped to set up the news coming from Fox News is another astounding sign of the mans greatness and at the same time the news in tinged with sadness. Movie star Paul Newman has quietly turned over the entire value of his ownership in Newman’s Own — the company that makes salad dressing and cookies — to charity. The value of handing this ownership over is worth $120 million. The news of this has broken at the same time that reports of the actor being ill has also come to light, but it should be noted that the two were unrelated, and the process had begun 2 years ago. Newman’s Own is the best example I can think of when I think of companies that are set up ethically and are in business for the benefit of others. 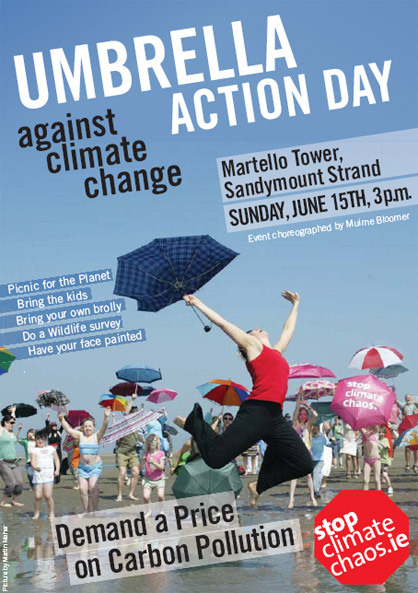 Together they are hosting the 2nd Umbrella Action Day on Sandymount Strand on Sunday, June 15th 2008 at 3p.m. This is a family event which highlights the need for political action to tackle climate change. This day hopes to serve as a reminder to our government that we still want reduction in emissions to be firmly on the agenda and to ask them to take measures to put a fair price on carbon pollution! Great idea, engaging the masses for change. I wonder will anyone from the Government comment or attend? The website also has a great Call to Action section. Yesterday Business in the Community Ireland welcomed it’s 50th member, Cara Partners. 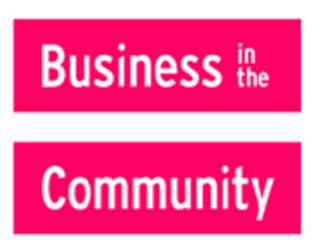 The mission of Business in the Community Ireland (BITCI) is to harness the power of Irish business to maximise its positive impact on all its stakeholders. It is a non-profit organisation specialising in advice and guidance to leading companies on corporate responsibility and corporate community involvement. BITCI is also the national partner in Ireland for CSR Europe, the co-ordinating body on corporate responsibility at a European level. Professional Fundraising has just released an article which talks about a presentation Joe Saxton, of nfpsynergy made in the opening plenary of the PF Conference on 21 May. Saxton was made the point that charities dont differentiate themselves enough. 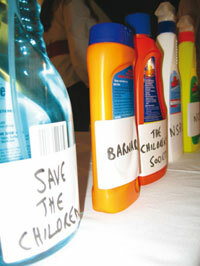 He used five bottles of cleaning product to illustrate his point, stating that it was easy for a consumer to tell the difference between these products, if you were to change the names to those of charities it isnt as easy. I came across this survey carried out by Business Plus again this morning, online. I remeber reading it last year and today thought you may be interested in taking a read, just click here. It has 12 case studies, easy read and some useful information. Business Plus has a great website, you can register and read a lot of articles from their magazine.